Isabelle: After this, I'll slow down, I promise. Just a little too sir real for my taste. I think the synopsis I read took me in the wrong direction. It was focus on Gabriel Byrne playing a man who lost his wife, a photojournalist, and is piecing together more info being uncovered on his wife's dead. That was a small part of a bigger emotional story that went over all those involved when a person commits suicide. 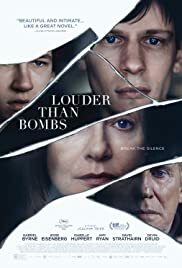 The filmmaker used a very unconventional narrative to paint the picture of what would cause a person who seems to have a perfect existence commit suicide and everyone's attempt to figure out the same thing. It was like a Terrence Malick film, just running with emotion, but without the beautiful cinematography. The dialog is not saying much, it seems to be more about how characters are reacting towards each other. It's more realistic than just straight up telling the story, which is cool. I must admit though, I did not understand Jesse Eisenberg's role in this movie at all. He plays the son who seems good on the outside, but a terrible one in the inside, a role he played well, but what purpose did this element really have in the movie, I do not known. On the flip side, the character of Conrad, the youngest son, was the most interesting person to follow. The life of a teenage wreck coming apart after his mother's death was done dramatically, and so emotionally bankable. 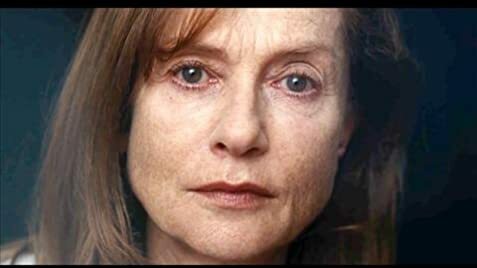 I did understand the emotional connection Louder Than Bombs is trying to lay down on me, but I did not find it all that interesting to watch. mostly Just long and dull. 19 of 39 people found this review helpful. Was this review helpful to you?